We may be legally required to disclose your Personally Identifiable Information, if such disclosure is (a) required by subpoena, law, or other legal process; (b) necessary to assist law enforcement officials or government enforcement agencies; (c) necessary to investigate violations of or otherwise enforce our Legal Terms; (d) necessary to protect us from legal action or claims from third parties including you and/or other Members; and/or (e) necessary to protect the legal rights, personal/real property, or personal safety of best4bodybuilding, our Users, employees, and affiliates. We recognize that your privacy is important. This document outlines the types of personal information we receive and collect when you use Complete-Strength-Training.Com, as well as some of the steps we take to safeguard information. We hope this will help you make an informed decision about sharing personal information with us. Complete-Strength-Training.Com strives to maintain the highest standards of decency, fairness and integrity in all our operations. Likewise, we are dedicated to protecting our customers', consumers' and online visitors' privacy on ourwebsite. 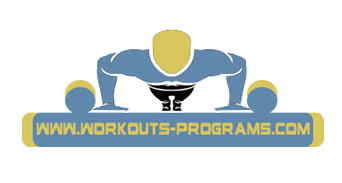 Complete-Strength-Training.Com collects personally identifiable information from the visitors to our website only on a voluntary basis. Personal information collected on a voluntary basis may include name, postal address, email address, company name, and telephone number. If Complete-Strength-Training.Com is sold, the information we have obtained from you through your voluntary participation in our site may transfer to the new owner as a part of the sale in order that the service being provided to you may continue. In that event, you will receive notice through our website of that change in control and practices, and we will make reasonable efforts to ensure that the purchaser honors any opt-out requests you might make of us. Aaron McCloud is a participant in the Amazon Services LLC Associates Program, an affiliate advertising program designed to provide a means for sites to earn advertising fees by advertising and linking to Amazon.com. • Click here to go back to the Complete Strength Training home-page.